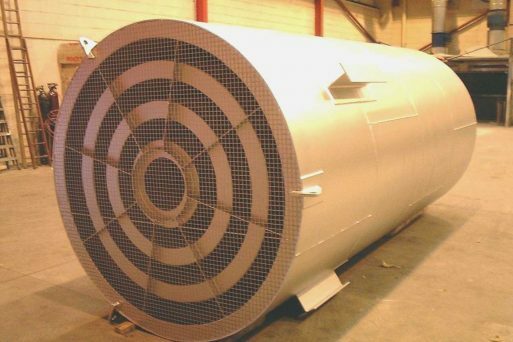 Typically utilised for rotary blade or centrifugal blowers, Wakefield Acoustics offer a wide range of custom designed process air or gas silencers. Each silencer is cost-effectively designed to meet the most demanding of customer noise specifications. 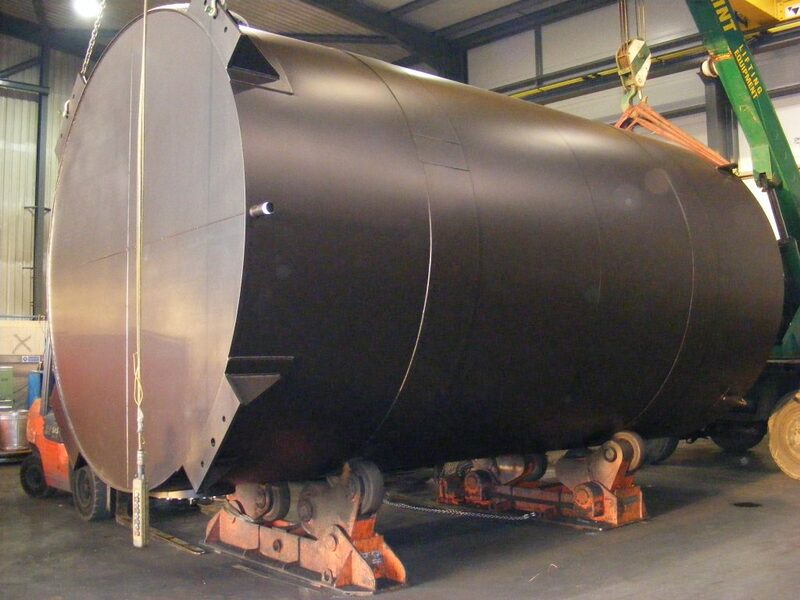 We offer several type of absorptive silencer construction dependant on application and structural requirements, from light gauge welded construction through to a heavy plate welded construction. Dependant upon the level of acoustic performance required silencers can de designed with an absorptive outer layer, thus not presenting additional pressure onto the system. Where a high level of noise reduction is required a central acoustic pod would normally be installed. 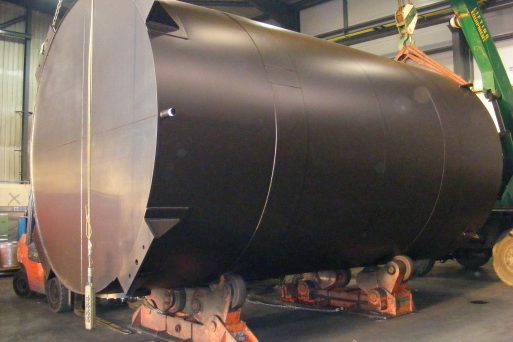 Given the high heat levels which can sometimes be generated in process air and gas lines, the silencers would normally be treated with a heat resistant paint finish after fabrication. 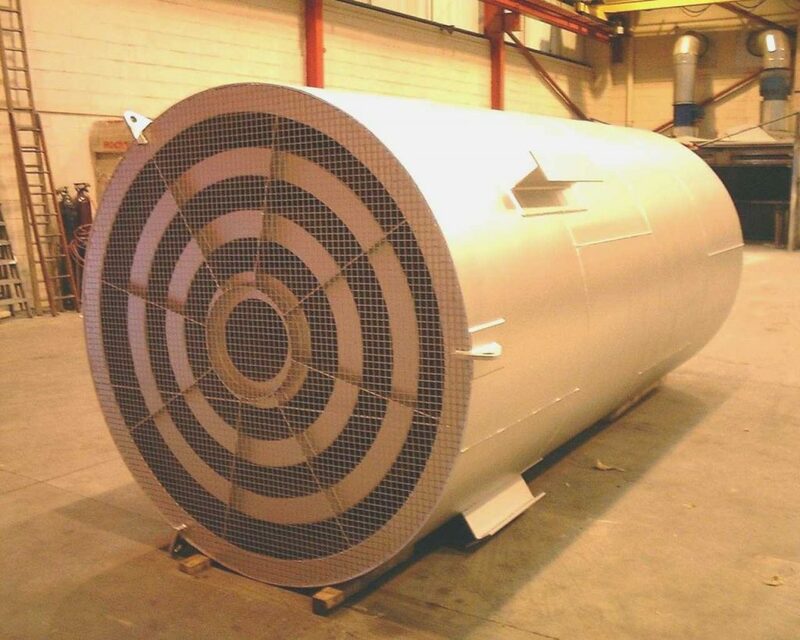 Wakefield Acoustics is able to undertake pressure testing of silencers to ensure compliance with project requirements.